People often write to me with suggestions for sites to include in the list at The Millenium Project. I also get occasional emails from people who are pleased to see their sites here; such people must be desperate for publicity. I recently received a request to list the Access Research Network in the creationist category. When I replied that the site had been added, I was asked what my objection to ARN might be. I suspect that the original mention of the site may have been made by someone who believes in what ARN has to say, so here is a public answer about why I don't like the site. ARN promotes the idiocy of creationism. This by itself is enough to get it listed here, but this site goes further. For one thing, it doesn't talk about creationism but instead pretends to be some sort of scientific site devoted to research into history and scientific thought related to evolution. It promotes the fantasy of "intelligent design", which is the latest deceitful ploy by creationists to get their religion into schools and science classes. At least places like Answers in Genesis and the Institute for Creation Research don't try to hide what they are about. I disagree strongly with what they have to say, but at least they are honest about what it is that they are saying. ARN has an associated site called "RealScience-4-Kids" which is used to push a complete science curriculum to indoctrinate children against real science. So, in summary, my objections to the Access Research Network is that it is a creationist organisation, it lies about being a creationist organisation, and it hides behind these lies in order to pollute the minds of children and damage their knowledge of science. I don't think I need to look for anything more to object to, although I am sure I could find more reasons if I tried. I was recently accused of being a doctor because I support vaccination. Apparently, being a doctor is a bad thing and calling someone a doctor is a form of abuse. That is, however, except for doctors who have forgotten (or abandoned) the science they learnt in medical school and for reasons of either dementia or ideology have joined the ranks of the people who are prepared to see children needlessly suffer and die. Doctors are just like other people in that there are varying degrees of competence, compassion, honesty and morality across the group as a whole. I can understand doctors who are not very good at their work (someone has to come at the bottom of the passing grades in medical school) and I can understand doctors who use their medical skills to promote quackery (there are crooked lawyers and accountants, too). What I can't understand are doctors who oppose vaccination. Some claim not to be opposed, just to want people to be better informed of the risks. All doctors recognise that there are risks associated with vaccination, but here I am talking about doctors who say that there is only risk without any compensating benefit. Here are some quotes from an anti-vaccination newsletter called Cry of the Heart. My comments are in italics. Firstly, Dr Kalokerinos does not hold the degree of "MD". He took his medical qualifications from Sydney University in 1951, and that university issues a qualification abbreviated to "MB,BS". I realise that truth means nothing to the anti-vaccination liars, but it is hardly necessary to change facts just to increase the lie quotient. I have seen Dr Kalokerinos both on video and live on stage and his impersonation of a lunatic makes Anthony Hopkins' and Jack Nicholson's Oscar winning acting performances look like the work of amateurs. Mandatory vaccine programs are "A violation of the Nuremberg Code in that they force individuals to have medical treatment against their will, or to participate in the functional equivalent of a vast experiment without fully informed consent". Jane Orient, M.D. Dr Orient does not oppose vaccinations per se, as long as nobody has to be vaccinated and all vaccines have been proven to be absolutely safe with no possible side effects. She conveniently ignores the fact that there are all sorts of exemptions to her mythical "mandatory" vaccinations and that vaccine safety is well established and getting better all the time. She once tried to explain to me that the number 3/10,000 is 30 times as large as the number 1/5,000, despite traditional arithmetic suggesting that the factor is only 1.5. This was in a discussion of the withdrawal of a vaccine with a tiny chance of an easily-corrected side effect. The withdrawal has meant that around 50,000 children will be afflicted with a very serious illness each year in the US. Some will die. Vaccination is a biological weapon at the service of biological warfare. It permits the targeting of people of a certain race, and leaves the others who are close by more or less untouched. Vaccination enables the selection of populations to be decimated. It facilitates targeted genocide. It permits one to kill people of a certain race, a certain group, a certain country. And to leave others untouched. In the name of health and well-being, of course. Guylaine Lanctot, M.D. This requires no comment from me at all. The men who ran Germany's death camps were scientists; they wanted to cleanse the gene pool and breed a super-race. They had no sense of right and wrong, and neither do many of the scientists who work for the NIH, the CDC, and the PHS. Stanley Monteith, M.D. Mahatma Ghandi once said that a country could be "judged by the way it treats its animals". My country has a large agricultural industry, and part of this is the farming of animals to be eaten. I have no moral objection to the killing of animals for food, provided that the animals are treated properly during their lives and are humanely slaughtered. Australia has strict laws about how slaughtering is done, and everything possible is done to ensure that the animals do not suffer. In contrast to these good intentions and practices and in parallel to the civilised treatment of our own food animals, Australia also has a multi-billion dollar export trade in live animals sent to the Middle East where they are ritually and barbarically killed. If half the stories about the live meat trade are even half true, then the entire business is a national disgrace. You might wonder why I would express my concern about the live meat trade here, but this whole business only exists because there are people in this world who will not put aside barbaric practices derived from religion and superstition, and there are other people who believe in cultural relativism enough to pretend that it is someone else's problem. We would never accept practices like female genital mutilation, or the selling of children into slavery, or the stoning of adulterers, or the burning of widows, or many of the other ridiculous activities carried out elsewhere in the name of religion, so I see no reason why we should be complicit in the torture of animals for religious reasons. Humane methods of slaughter have been developed which comply with halal and kosher laws, so there is no excuse for continued pandering to superstition. It's difficult to change the way things are done in other countries, but that is no reason to be an accomplice to the idiocy and brutality of absurd religious traditions. A week after I wrote the piece above, a ship containing 57,000 sheep was cruising around the Middle East looking for somewhere to unload. Many hundreds of sheep were dying each day from the 40°C temperatures because the customers (Saudi Arabia) had refused to accept the delivery for quite specious reasons. They said that the refusal was because some of the sheep were diseased, but this excuse is rolled out every time they get upset and want to teach the rest of the world a lesson about the consequences of criticising their behaviour. It was hardly a coincidence that a problem with the sheep just happened to be manufactured in the week when the rest of the world was about to remember that about 3,000 people had been killed on one day by a gang of terrorists who were financed by Saudi money. I think we should continue to offend them and to remind them of why we find them offensive, and we should also tell them that if they want sheep they can grow their own. There's plenty of pasture land around Riyadh. There have been more pictures on my television this week of the grinning cretins who murdered more than 200 people in Bali last October. They have been smiling because they want to be executed and become martyrs and then go on to great rewards in the afterlife. (I have previously suggested that they should be sown into pig skins before execution, just to let them know where they are really going.) In the same week, a murderer named Paul Hill was executed in Florida for killing a doctor in 1994. Hill was totally unrepentant and there was a group of his supporters outside the prison singing hymns when he died. Hill is looking forward to meeting God and being congratulated for being a murderer. What the Bali bombers and Hill and his supporters have in common is religion. Not the same religion, which unfortunately means that only one group can be right about the sort of people you have to kill to get to heaven. Both religions claim to encourage peace, both supposedly forbid killing, but both seem to allow believers to kill people if they want to. The sort of people you are allowed to autonomously decide to kill are different however, so the likelihood of both Amrozi and Hill ending up in heaven is slight, even if there is such a place. If I believed in an afterlife, I would like to imagine them chained to each other in hell, spending eternity explaining to each other why each one's particular brand of religious mental illness was superior to all the others. A friend of mine bought some homeopathic sleeping pills. The list of ingredients can be seen at the right. Apart from the obvious question of why there needs to be two concentrations of the same ingredient, the product packaging does not seem to comply with Australian regulations for medicines. You can see more about this here. I have sent the following questions to the manufacturer and I eagerly await the reply. As to your comments about "expensive glucose", if you have questions about the effectiveness of homoeopathy, manufacturing techniques or anything else related to Brauer products, I'd be happy to discuss it further with you. Advanced Allergy Elimination is a bizarre concoction of quackeries. It combines the magical vibration bottles of Nambudripad's Allergy Elimination Technique (NAET), the arm pushing of NAET, Contact Reflex Analysis (CRA) and Applied Kinesiology, the hot spots and meridians of acupuncture and the automatic rubber hammer used in Activator Method chiropractic. It has something for everyone, but most of all for the operator of the scam. I turned on my television during the week to find that a program was running an advertisement for medical quackery. A first I thought that I had switched over during an advertising break, but it soon became apparent that this was supposed to be a news story, and the news was that allergies could be cured by tapping people's backs with a little rubber hammer like some chiropractors use. This was done after applying a drop or two of magic water and then doing the old arm pushing trick. (It took me five minutes to learn how to do this trick. The reason it took so long is that I decided to learn at least three different methods.) Remarkably, some satisfied customers were uncovered who could provide great anecdotes about how good this scam was. Well, they talked about miracle cures rather than how good the scam was. I don't think the operator wanted to emphasise that too much. A spokesperson for the promoters claimed that the method was 87% successful in the treatment of allergies. Not just the treatment, but the complete elimination of allergies. Often a single visit is all that is necessary. You may wonder how anyone can make money out of a system which cures chronic hay fever for ever after just one treatment. Well, it seems that each treatment only cures one "allergy family". If you keep sneezing when you get near the cat after the first treatment then you need to go back and have another "allergy family" attended to. If you keep sneezing when you get near the cat after the second treatment then ... . You get my meaning. What made things worse was that the story promoting this quackery appeared on A Current Affair, a once-reputable current affairs television show. It was presented as a news story and an investigation, but the totality of the investigation consisted of collecting anecdotes from people who just happened to be introduced to the TV show by the quacks and the obligatory few seconds of a real doctor being too polite to stop talking about science and start talking about fraud. What I saw was an unpaid advertisement for a method to take money from people and offer nothing in return except the promise of more expense in the future. You can see some details of the television program here, and the program's explanation of how Advanced Allergy Elimination "works" here. As you are probably aware, link exchanges can help increase search engine rankings. We would like to exchange links with your site. 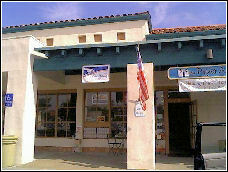 I would appreciate it if you would place a link back to my site using the following information. If you would like the description or category of your site modified let me know and I will be happy to take care of it. Perhaps Dr Philpott is right and a strong north pole is the answer. Another purveyor of magnetic quackery who complained about being listed here reckoned that south poles were stronger. That site went belly-up this week. And they had only been in business since 1936! I was adding a couple of messages to the Millenium Project hate mail collection and I was reminded of one remarkable quality of the majority of this stuff. It is the amazing depth of illiteracy and ignorance of general knowledge shown by the writers. Most of them seem unaware of any rules of grammar or punctuation and they are almost inevitably strangers to spell checkers. Even those messages which consist of real sentences are often meaningless, and spelling a wrong word correctly does not make it correct. In two examples I received this week, one said "Please remove the link to my website from your excuse for a site you have", which makes a sort of sense but seems to have too many words, and the other used the expression "integral people" which makes no sense at all. It's not just me. As an example, journalist Michael Fumento gets the same quality in his collection of hate mail, and incomprehensible gibberish and drivel is a hallmark of the stuff I have to deal with in Usenet newsgroups and mailing lists every day. Even those who can spell and punctuate often seem totally oblivious to literary references or rhetorical devices such as allegory, analogy and metaphor and can only see the literal meanings of words. It is as if they have had no contact with any formal language training or any worthwhile examples of literature. When I get mail which is illiterate and incoherent I can see at least one reason why the writer believes or is attracted to the sorts of things which this site exists to oppose. I don't blame them for their ignorance (although sometimes such blame is warranted), but I have some understanding of why they appear to have little or no understanding. And then there are the ones who are highly educated and write perfect English yet still manage to talk drivel, but that is a story for another day. A few weeks ago, someone posted something to a Usenet newsgroup which was purported to be a quotation from this site. When I asked for some evidence that I had said the particular words, I was told that the words appeared on a site that was linked to from here, and as I had created the link I had to accept full responsibility for what was said on any target site. This particular example was a book review at Amazon.com. The complainer had not read the book, but she knew it was bad because the author is an evil real doctor. Like the hundreds of thousands of other Amazon affiliates, I create book links by dropping the ISBN of a book into the middle of a standard URL, but that wasn't the issue here. It was irrelevant to the complainer that Amazon was involved, I was supposed to know everything about anything for which I provided a link. When I asked whether Google should be held responsible for the content of the billions of pages in the search index, I was told that this was not about Google, it was about me and what I typed with my "own widdle fingers" (sic). I was also compared to Satan, although I would have thought that being omniscient would have put me one rank higher than that. I may not know everything, but one thing I do know is that there can come a point in a debate with supporters of irrational beliefs when the accumulated evidence indicates that it is no longer a conversation but is just a case of teasing the mentally deficient. Sad that. By the way, are you expecting the 'ratbag', I know I'll be on the lookout. It always puzzles me why the supporters of quackery and anti-medicine are so shy. Surely, if their theories are valid then it should not matter at all who is in the audience. If they are speaking the truth and can produce evidence supporting what they say, then an audience consisting entirely of skeptics and debunkers would be left speechless and defenceless. If they are speaking the truth, I said. If they are unaware that they are not speaking the truth then surely they would want this pointed out. If they are not speaking the truth because they are deliberately lying then they would probably not want anyone there who might expose the deceit. Perhaps they just can't handle the truth. Within alternative medicine there is no such thing as a psychological or psychiatric disorder. To admit the possibility of such things would allow for the possibility that somatisation disorders like Multiple Chemical Sensitivity and Gulf War Syndrome are in fact somatisation disorders and not the effects of Evil Organised Something-or-Other. Two articles of faith for alternative supporters are that there is no such thing as ADHD and that the drug Ritalin is always bad. One of the lies that gets repeated constantly is that Ritalin (methylphenidate) is "almost identical" to cocaine. And how do I know that they are lying? Because they have been shown the following chemical structures of the relevant molecules. Do you see how identical they are? Neither do I. Nether do the liars. Question: What have you got when a multi-level marketing company goes bankrupt? You can see the ridiculous legal threats here. Nobody seems to know where the aphorism above came from. When I went looking I found that it had been used by anti-psychiatrist Dr Thomas Szasz to describe his relationship with the Scientology front organisation, the Citizens Commission for Human Rights (CCHR). This was a nice coincidence because it was this very organisation and its strange bedfellows that I had been interested in and that had caused me to go looking for the source of the quote. Finding Dr Szasz just added another data point. Over the last few weeks I have been involved in discussions with people who oppose the use of Ritalin to treat ADHD. I suppose "discussion" is not the right word, because the anti-Ritalin people keep repeating the same lies and deliberately misunderstood research to back their position (which is essentially that there is no such thing as mental illness). The only evolution of the conversation was an increasing reliance on material from Scientology sources. It is no secret that the criminal cult opposes the use of any psychiatric drug or intervention, as these are seen as competition for the cult's "services". What was surprising, however, was how eagerly some people who professed to be committed Christians accepted the Scientology propaganda without question. It was actually doubly surprising, because some of these people had used ad hominem charges of atheism and other forms of faithlessness to discredit their opponents. For some reason the crimes of Scientology could be overlooked, but just a touch of atheism was enough to make everything that others said untrue. Pointing out what Scientology inventor L. Ron Hubbard had to say about Jesus made no difference. If Scientology said that Ritalin was bad then all of the cult's other faults could be forgiven. Bizarre. Coincidentally, another strange ally of Scientology appeared. The National Vaccine Information Center issued a newsletter promoting a CCHR seminar. I hadn't heard that the Scientologists were opposed to vaccination (although nothing would surprise me) so I can only assume that Barbara Loe Fisher at the NVIC thinks that because CCHR is opposed to "the drugging of children" they oppose other medication for children and therefore support her agenda, which is to have the practice of medicating children to prevent life-threatening diseases abolished. Bizarre again. It's probably more expensive now, but according to a price list published in 1995 it could cost between $US250,000 and $US380,000 to get to the highest level in Scientology. Of course, this price list is secret. It would not do for marks to be told how much it was going to cost to find out about the clams and the volcanoes and the millions of years and the millions of thetans. Not that they can know about these without paying of course. Payment comes first, with more payments to learn more after every stage. In order to save people money and to give Christians an idea of the sort of respect that the cult has for their beliefs, I present the following quotations from Scientology inventor L Ron Hubbard, taken from the secret OT VIII documents. When considering the evidence of intellectual content in this, please remember that Scientology wants you to pay the price of a house to read it. I will soon leave this world only to return and complete my mission with another identity. Although I long to stretch my arms back in repose on some distant star in some distant galaxy, it appears that is one dream that will have to wait. But my return depends on people like you doing these materials thoroughly and completely so that there will be a genetically uncontaminated body for me to pick up and resume where I left off. A body free of religious mania, right/wrong dichotomy and synthetic karma. The job ahead is far too tough to even contemplate doing with your standard -- courtesy of certain other-dimensional players and their Marcab pieces, many of whom are right here in the general populace -- genetically altered body. Without the biogenetic meddling of those who stand outside time (who cannot yet directly influence our world and must work through others) the dwindling spiral is not nearly as automatic and self-perpetuating as it appears. There are regions even in isolated parts of the Milky Way where poets are free to poet and magicians can paint reality with their magic wands and exteriorize without body kickback. But these areas unfortunately are fewer and fewer. I will return not as a religious leader but a political one. That happens to be the requisite beingness for the task at hand. I will not be known to most of you, my activities misunderstood by many, yet along with your constant effort in the theta band I will effectively postpone and then halt a series of events designed to make happy slaves of us all. 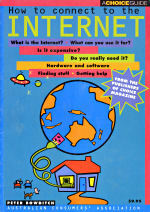 A few years ago I wrote a book about the Internet. It was an introduction to the 'net aimed at people who were not yet connected and wanted to know the good and bad aspects of the online world. It is hard to talk about the dark side of the 'net without mentioning the Cult of Scientology so I looked for a way to talk about them without attracting legal attention. My editor told me that I had to remove the words "an international criminal organisation pretending to be a church" because they so clearly identified Scientology that the publisher would almost inevitably be sued. I was surprised and amused by this, because I couldn't imagine anyone going to court, pointing to that expression, and saying "That describes us exactly". While I wasn't threatened with any legal action myself, I can only assume from their excessive caution that the publisher had had trouble with Scientology in the past. Much of their catalogue was consumer protection material which had harsh things to say about a lot of people so they weren't frightened of speaking out. I suppose I can say I was indirectly threatened with legal action, but I'm not sure where that places me in the hierarchy of Suppressive Persons. Perhaps SP2 or SP3. Mistakes should be corrected. In several places on the Internet, including this very web site, I had attributed the quote "Because it's there" about climbing Mount Everest to Sir Edmund Hillary. In fact, it was said by George Mallory in an interview published in the New York Times in 1923. The really annoying part about this is that I knew who had really said it but the fact had sunk into some inaccessible part of my brain. As soon as the error was pointed out to me I knew what Homer Simpson means when he says "Doh!". (Another annoying part is that I have said it in print as well, and that will live out there forever.) 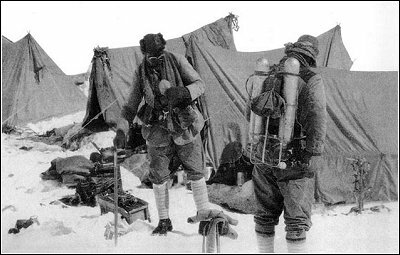 George Mallory and his partner Andrew Irvine died in an attempt to climb Everest in 1924. His body was discovered 75 years later in May 1999. The word "hero" is frequently used today to refer to people who have done something just a bit beyond the normal duties for their jobs. The real heroes are people like Mallory and Irvine (and Hillary and Tensing, of course, who finished what Mallory set out to do), where the basic job itself is well beyond what most other people could even dream of doing at all. I apologise to George Mallory for attributing his words to someone else, and I apologise to Sir Edmund Hillary as well, because his achievements do not need any embellishment. Mallory and Irvine on Everest, 1924. "In the days of peace, England will always hold some who are not content with humdrum routine and soft living. The spirit which animated the attacks on Everest is the same as that which has prompted Arctic and other expeditions, and in earlier times led to the formation of the Empire itself. Who shall say that any of its manifestations are not worthwhile? Who shall say that its inspiration has not a far-reaching influence on the race? It is certain that it would go rusty with disuse, and expeditions like the attempt to scale Everest serve to whet the sword of ambition and courage". The Morning Post, London, on George Mallory and Andrew Irvine's deaths, June 24, 1924. There are many versions of George Burns' famous comment on Hollywood and acting, "Sincerity is the key. If you can fake that, you've got it made", but whatever his actual words were this cynical sentiment describes the way many people feel about the film industry. The general perception is that nobody believes in anything and everything is just done to make money. This perception is not damaged in any way by the reaction to Mel Gibson's new film, The Passion, due for release in 2004. It seems that Gibson has broken the rules by being too sincere while making his film about the last day in the life of Jesus. It has even been suggested that this film might irretrievably damage his career. Part of Gibson's problem is that he belongs to a Catholic sect which is seen as being a little weird. This group rejects the modernisations and liberalisations which have happened in the church over the last few decades, in particular the vernacular Mass. My view is that people can follow whatever religious practices they like provided that no harm comes to anyone else, so I can't see any harm in Gibson and his friends and family doing their worshipping and praying in Latin. Some people take this sort of thing very seriously, however, so he has managed to annoy a lot of Christians and this annoyance has spilled over into criticism of his film (even from people who have not seen it). Apparently, someone who goes to a Latin Mass might make a film that shows disrespect for Jesus. Christian opposition to him is quite ecumenical. Catholics think that he is a flawed or apostate Catholic. Protestants just think he is a Catholic. Another part of his problem is that his father is a loopy Holocaust denier. As the story of the death of Jesus cannot be told without mentioning what the Gospels say about the behaviour of Jews on that first Good Friday, the inevitable accusations of anti-Semitism have been made about the film. 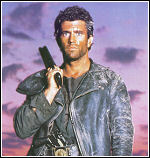 Mel Gibson has therefore achieved the distinction of offending both Christians and Jews. As far as I know other religious groups have not yet expressed an opinion. The story took place a few hundred years before the birth of Mohammed, but I am sure that some mad mullah could be encouraged to join in the criticism of the film because it somehow offends Muslims. Hindus probably resent the fact that the film was made in Europe, and there could be little doubt that the Hollywood branch of Scientology is disappointed that a major star like Mel Gibson is wasting his money on making a film rather than giving it to them. All this bickering just highlights the silliness that can overtake people who take religion seriously (including Mel himself of course, who takes it very seriously). Everything I have read about this film suggests that it is going to be good. Just the number and disparity of objections by people who haven't seen it makes me want to go, but the reports from those who have seen it make it sound like a masterpiece. You don't have to be a believer to see that this is a very powerful and good story, and one which can be told in many ways. Previous portrayals of Jesus in films have ranged between likable, platitudinous halfwit (King of Kings) and demented loon (The Last Temptation of Christ). Gibson has chosen another portrait, and the fact that he believes his version of the story to be true is irrelevant. If only he weren't so sincere about it. One quirky idea for the film was to have all the dialogue in either Latin or Aramaic. Unfortunately, it seems that Gibson has succumbed to one of the criticisms and it will have subtitles. I can't imagine anyone going to see the film without being aware of the story line and the characters. This would work as a silent movie if the acting and filmcraft are as good as the rumours suggest. Fans of faith "healer" Benny Hinn keep telling me how I am going to hell. One wrote this week and asked me "Apparently, you are not as against Benny Hinn as you pretend to be. Why not use your own name to slam this man?". If this person can't find out who I am is it any wonder that they are gullible enough to believe Hinn?